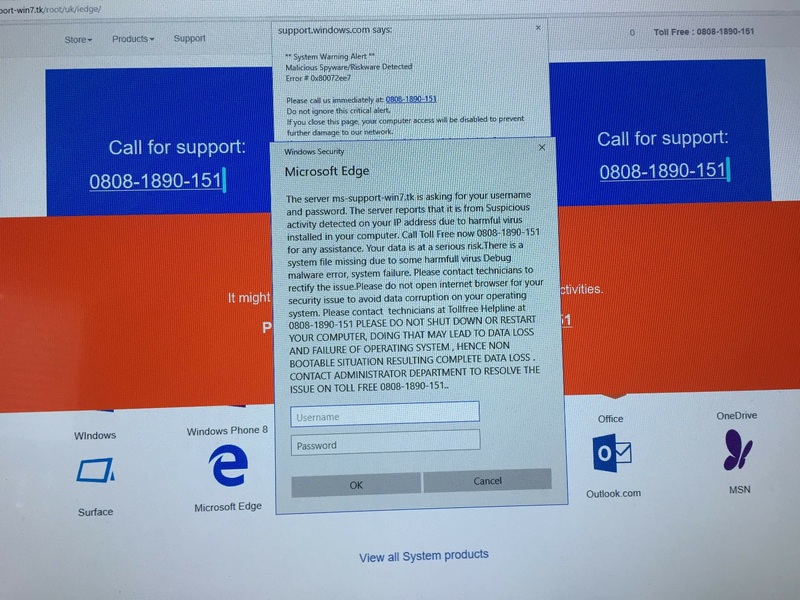 A customer rang me last night after the above screen appeared on his computer and he couldn’t close it or do anything else on his computer. this was after his wife had clicked on a Facebook message from a friend (that they hadn’t sent). Unfortunately he rang the phone number and then let the guy on the other end do a remote control session to “show” him loads of trojans and viruses on his computer and that the software subscription to clear them was around £199 per year!! Luckily he realised it was a scam and hung up without losing money, but during that remote control session, the scumbag on the other end INSTALLED SEVERAL VIRUSES onto his laptop. If you see a screen like above…..
PRESS AND HOLD your power button until the computer turns off and call ISO Data Solutions and we’ll get rid of the problem for a call-out fee of just £20. If this wont get rid of it (if you’ve done a remote session, for instance) we will tell you how much it will cost before proceeding so you can decide if its worth it.